Bethany Nugent, MSPT, HPCS, is a licensed physical therapist and founder of Bethany’s Equine and Aquatic Therapy Services, Inc (BEATS). 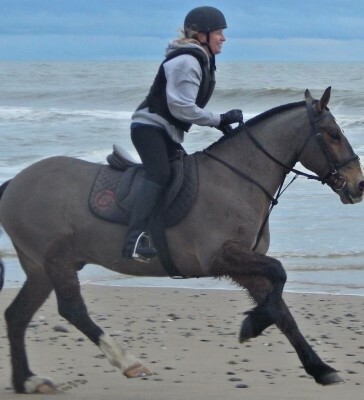 An equestrian and swimmer since childhood, she found a natural fit in combining her love of these activities with her career as a therapist. Bethany has been practicing hippotherapy and aquatic therapy since graduating from the Master’s program at Ithaca College in New York in 1995. 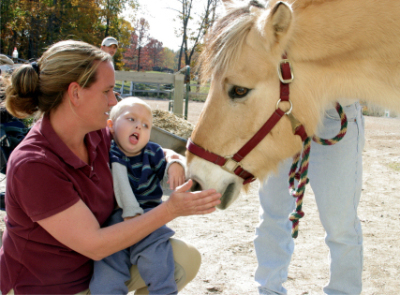 In August 2001 she earned the title of Hippotherapy Clinical Specialist. Bethany is the founder of the Georgia Hippotherapy Club, an organization that promotes education and networking among therapists practicing hippotherapy in Georgia. She is the Georgia state liaison to the American Hippotherapy Association, a Certified Therapeutic Riding Instructor, and a classifier for disabled riders. She is also an associate faculty member of the American Hippotherapy Association. She is married to Michael Butler and they have a daughter, Macayla and a son, Ethan. Jacqueline Kocken, PT, DPT is a licensed physical therapist who has worked for Beats since 2013. She grew up playing soccer competitively which lead to a scholarship at the University of Southern Mississippi. She majored in Exercise Science and pursued a career path towards physical therapy. Jackie returned to Atlanta where she received her Doctorate in Physical Therapy from Emory University. Jackie found her passion for working with children in graduate school, leading her to a job in pediatrics. After working in the clinic, school and home setting, she finally found her calling with kids at the barn. She fell in love with the outdoor setting, animal-human relationships, and energy that Bethany brought to the treatment atmosphere. Beats was a natural fit for her. Jackie can usually be seen and heard singing at the barn alongside Bethany. She is married to her college sweetheart, Andrew Kocken. They recently had a son, Hampton, and hope to continue to grow their family with children, dogs & horses. Jamie Bice has been riding for over 20 years and has extensive local GHJA and "AA" show experience in equitation, hunters & jumpers. 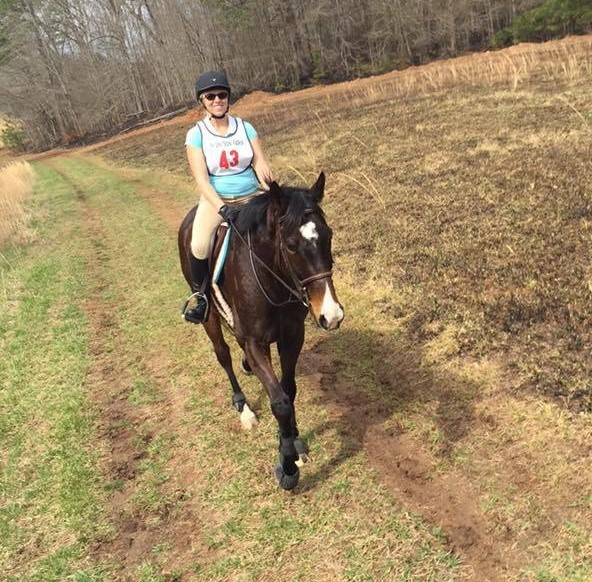 She was a Captain of the Centennial High School IEA team and competed on the University of North Georgia Equestrian team where she was also the club’s president. Jamie focuses on building a solid foundation of riding skills and horsemanship to help both horse and rider work as a team whether their goal is recreational or competitive. 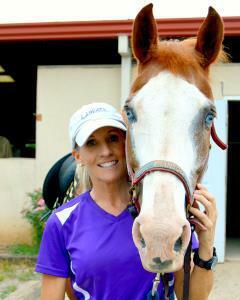 Jamie is a PATH International Certified Riding Instructor and certified early childhood and special education teacher. This background help Jamie have a style of teaching that allows her to adapt to each rider and horse. Bernie DeWit grew up outside of Dublin, Ireland. She was involved in horses as a teenager and rode on the beaches and fields across Ireland. Bernie graduated from the School of Occupational Therapy at Trinity College, Dublin in 1988. She worked in acute psychiatry and long term psychiatry in Ireland before moving to the USA in 1993. Bernie has worked in many settings including geriatrics. Acute and sub-acute rehabilitation, adult home health, outpatient clinics, pediatric home health with Babies Can't Wait and since 2002, has been working in Occupational Therapy in Hippotherapy. Bernie uses a a multifaceted approach to her sessions including but not limited to Therapeutic listening, sensory approaches and sensory diet and essential oils. When not at the barn, Bernie can be found playing tennis with her friends or with her husband Matt, at the lacrosse field watching her two teenage daughters play or participating in a National Charity League event with her girls . Cindy King, bio coming soon!